shanty crew X-berg and "The Dubliners"
In former times a shanty was a work song that was sung to accompany labor on board of large merchant sailing vessels. In any case, they were used to lighten the work and ease the boredom of repetitive work. The singing 0f shanties started up around 1480 and ended with the beginning of the 20-th century . Steam- powered ships killed this tradition. shanty crew X-berg is going on….and the crew doesn´t drink so much beer as you may think. 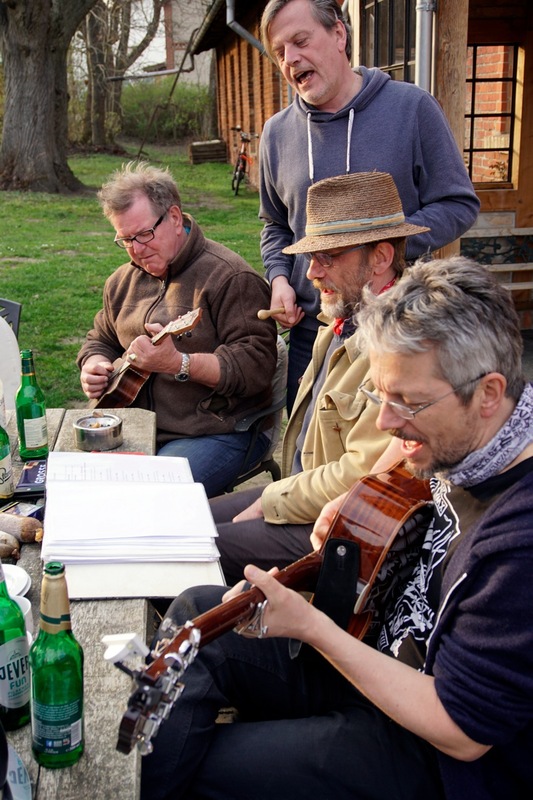 Listen to the songs of shanty crew X-berg, look at some pictures, read the songbook or just contact us.